Fruit Growers Newsletter published a story this week on the economic impacts of Hurricane Irma just to Florida agriculture. The story breaks down the losses by agricultural sector, but the total overall is over $2.5 billion. And they point out that does not include the loss of future production or the cost of rebuilding infrastructure. 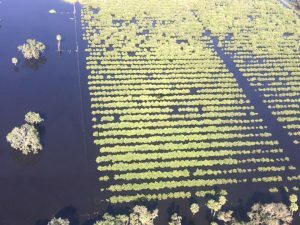 You can read the article and get the link to the original report from the Florida Department of Agriculture and Consumer Services at http://fruitgrowersnews.com/news/florida-crop-damage-hurricane-irma-tops-2-5-billion/. The Southeast Farm Press posted a related story on losses to Georgia cotton and estimated that losses there could be as much as $100 million. You can read that story here. 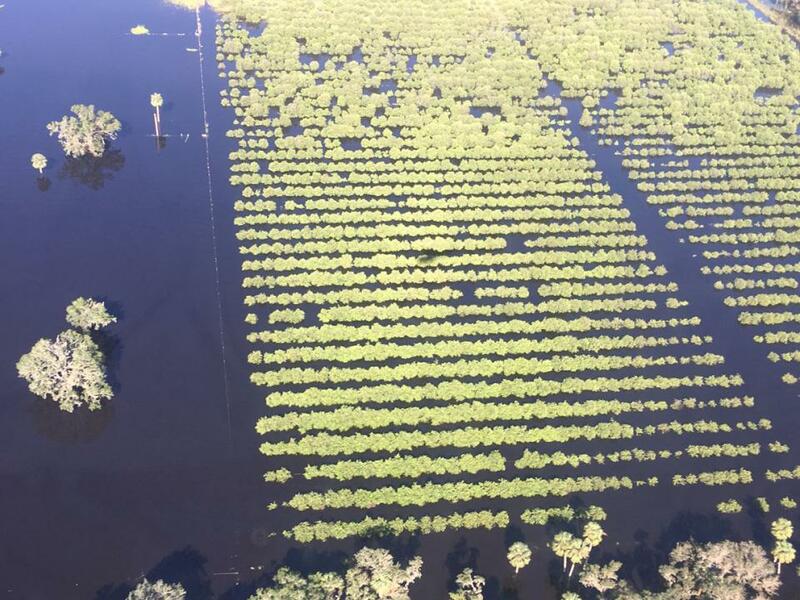 Citrus groves in Florida remained under flood waters Sept. 13 after Hurricane Irma. “It’s still too early to know the full extent of the damage to Florida citrus,” Florida Commissioner of Agriculture Adam Putnam said in a Sept. 13 news release. Posted in Climate and Ag in the news, Crops, Forestry, Livestock, Tropical weather. Bookmark the permalink.